Honestly, mystery books are not my cup of tea. Don't get me wrong I will read them, however, if it's a mystery or another genre most likely the mystery would have to wait. This book caught my eye, I'm a huge animal lover as you probably have guessed, so a book that includes animals in the sotry (that isn't absolutely heartbreaking) is something I would read right away. This is the first of the Gin and Tonic Mystery series that is currently up to four books. 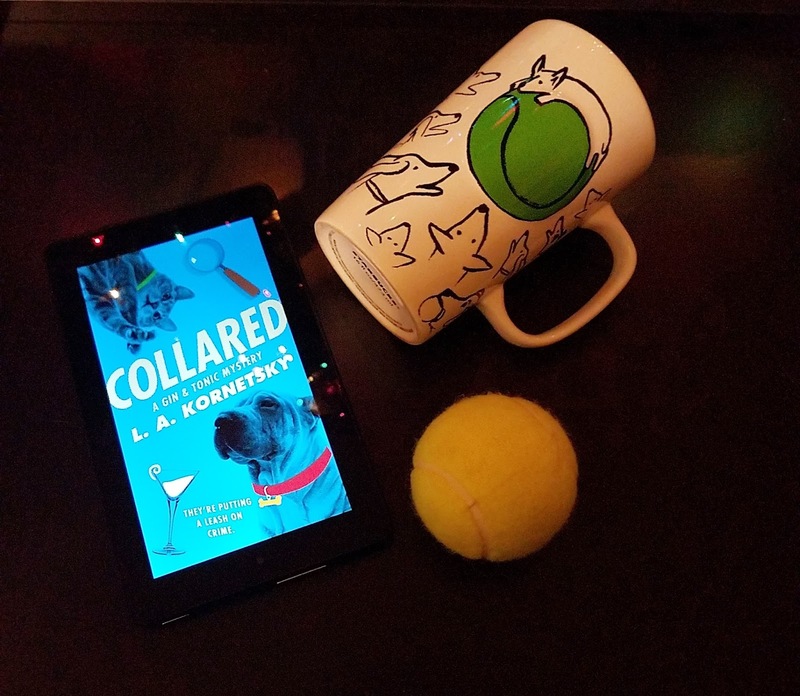 The main characters are not a dog and a cat, no the main characters are a Bartender named Teddy Tonica and a 'professional (purrfessional) Concierge' Ginny Mallard. It's why its 'Gin and Tonic'. Both humans are competitive and stubborn it's how Ginny convinced Tonica to help with a missing paperwork case. They both end up in over their head when their investigation leaves them in P.I. territory and neither of them are Private investigators (even if Tonica did read a 'Morons guide to P.I). Two things I was happy about, One is that they gave the dog (Georgie, a Shar-Pei) to Ginny instead of it being the typical girl has cat, boy has dog thing. Tonica has Mistress Penny Drops who is a stray that sorts of adopts Tonica. The second think I liked was they included the animals P.O.V. It was not as often as I would have liked but I did enjoy those parts. The one thing this book makes you think is that this would be a mystery with animals helping out and while Georgie came to the rescue towards the end you really don't get to see much of Penny or Georgie throughout the books. This was a huge disappointment for me, the tagline even alludes more animals scenes. Another thing was I did not really like Ginny, while her interactions with Georgie softened her up a bit she was a bit too pushy. I understand why she felt like she had to push so much, her reputation and therefore her business was on the line but she just irked me. I liked Tonica a lot better despite him being kind of a cliche. Overall the story was entertaining, I may read the second book Clawed to see if Penny and Georgie have more of a roll in it. I'd recommend this to someone who needs a easy-quick read or trying to get into the mystery genre. L.A Kornetsky is the pen name for Laura Anne Gilman. 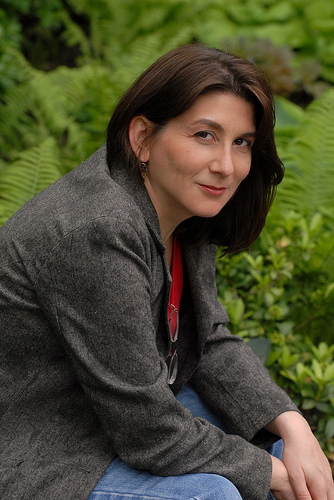 She is the author of the popular Cosa Nostradamus urban fantasy series of novels and novellas, and the Nebula award-nominated The Vineart War trilogy. Her newest project is the Devil’s West series from Saga / Simon & Schuster, beginning with 2015’s Locus-bestseller SILVER ON THE ROAD, and continuing with THE COLD EYE.